We picked LOADS of blackberries and blueberries. Someone who will remain nameless didn’t quite understand that we needed to put the blueberries in the carton rather than in our mouths. Ahem…whooooopsie daisy. We saw tractors, participated in our first hay ride, and even pet some goats. 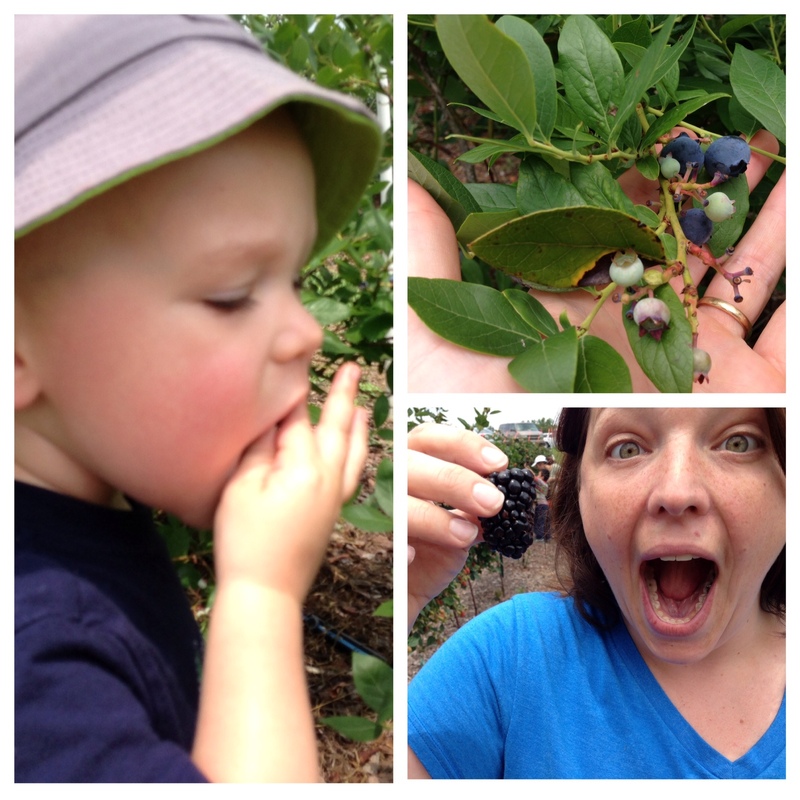 There was a petting zoo, hot dogs and hamburgers, lots of amazing plants, educational classes, and the most delicious blueberries and blackberries you will ever taste. The best part about Petals from the Past are the people. The minute we saw Jason Powell (owner), he gave us a huge hug and thanked us for coming out each year. He remembered this blog. He remembers and welcomes us every single time, which means so much. 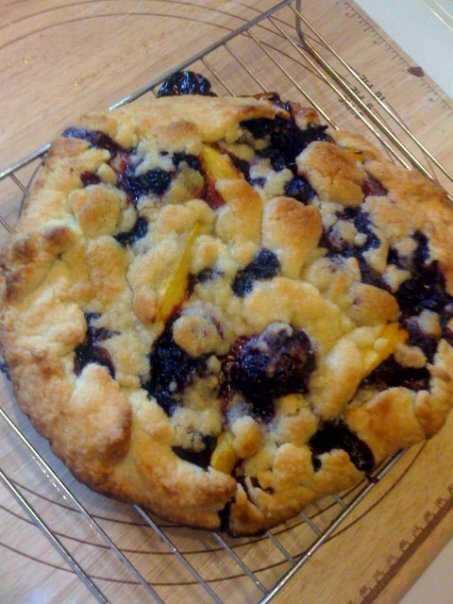 You can find the recipe by clicking here: Summer Fruit Crostata. I tend to use blueberries, blackberries, and peaches. If you missed the Blackberry Festival this year, be sure to mark your calendars NEXT year. Their hours are Tuesday- Saturday (9 am- 5 pm) and Sunday (1 pm-5 pm). Address is: 16034 County Road 29. Jemison, AL 35085. Phone: 205-646-0069..
And don’t forget that Petals from the Past sell their fruits and jams every Saturday morning at Pepper Place Saturday Market.